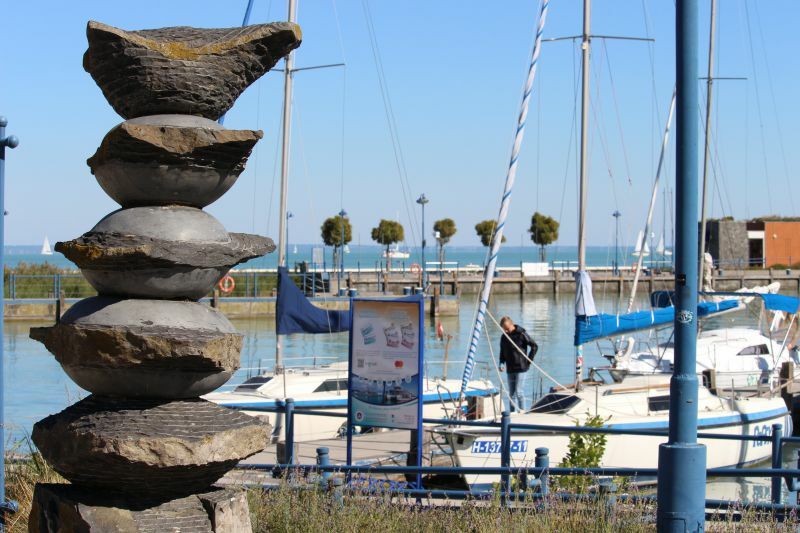 When you relax on Balaton, it seems like you are by the sea! The turquoise water is like in the resorts of the Mediterranean, the views of the mountains are like in Italy, many yachts are like in Palma de Mallorca, as well as well-equipped European beaches and lively promenades. In windy weather, even the waves are rising! The only difference compared to the seaside resort is that the “Hungarian Sea” is a fresh one. 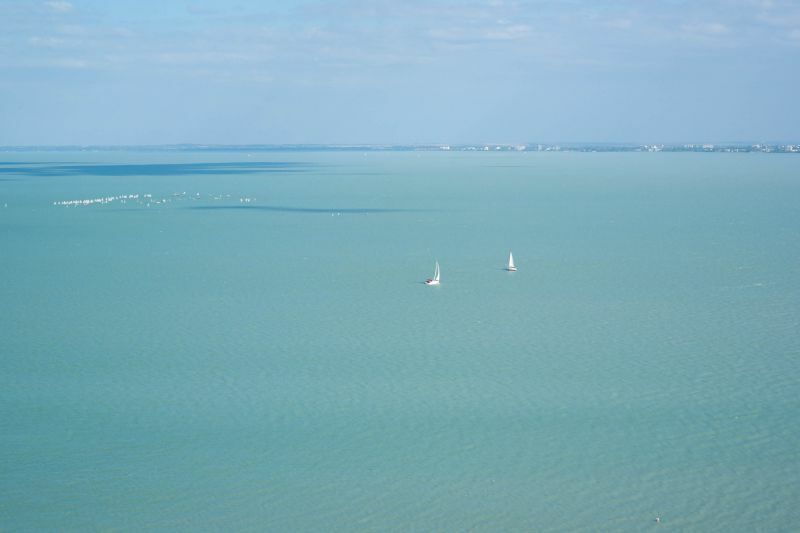 Hungarian lake Balaton is the largest in the country. However, it is shallow and perfect for families with children. On the south side, you can walk almost to the middle of the lake, and the water is only knee-deep. 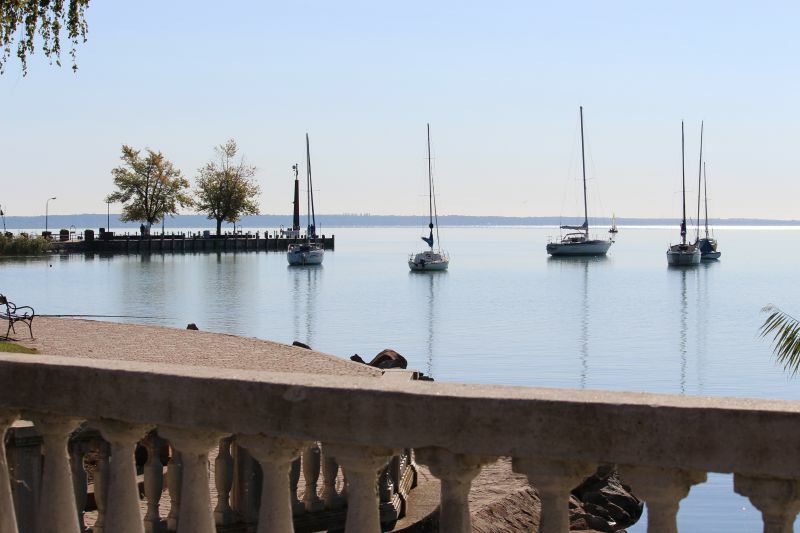 On the north side, where the waters are deeper, you can swim and go yachting. Almost all beaches are paid (500-1,000 forints, which is about 1.5-3 euro), but you can also find a free “option.” The IGotoWorld team has already checked the Hungarian coast, and we prepared a list of promenades and beaches that impressed us, as well as our recommendations for a beach holiday on Balaton. 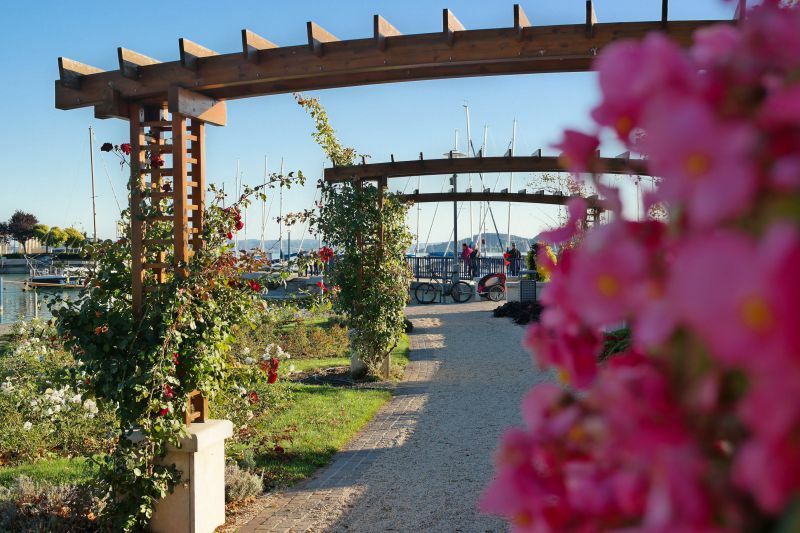 This time, we will tell about three most liked promenades of Balaton. 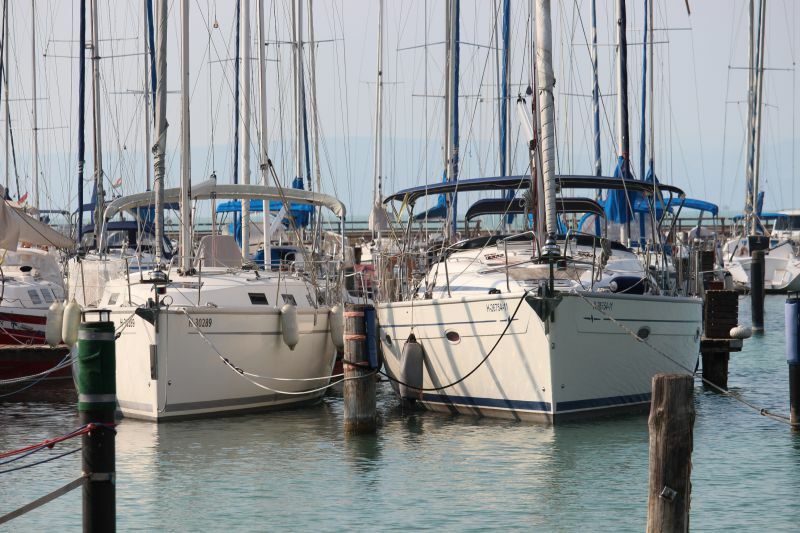 It is the most luxurious promenade of Balaton. 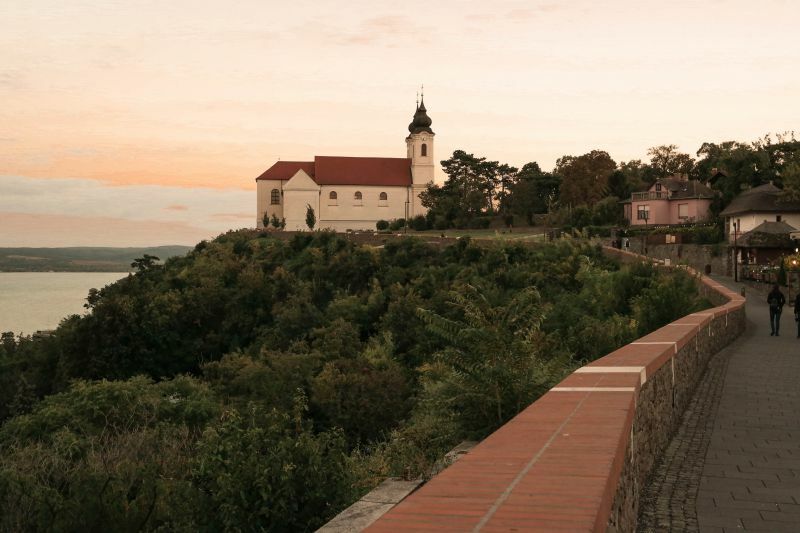 You can admire a stunning view of the Tihany Peninsula from here. 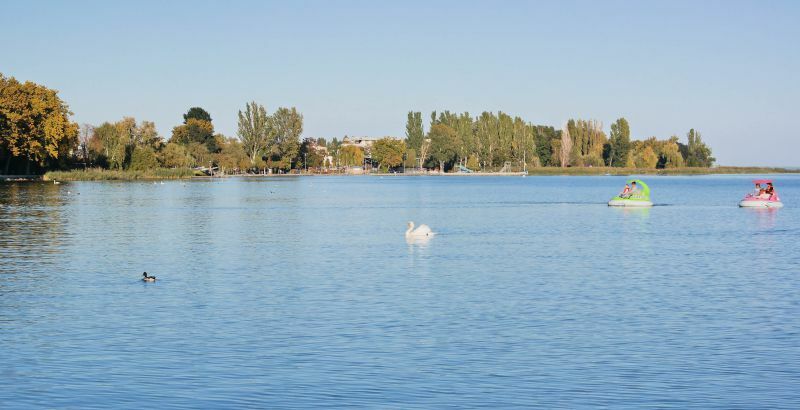 The promenade is covered with flowers; a playful fountain gently is bickering, the masts of hundreds of yachts are swaying, the swans are circling above the lake. You can settle down in a shady park or go for water activities. This promenade takes us to the beginning of the last century. Just look at those charming turrets! Here, you can see the first bathhouse of Balaton with its preserved authenticity. 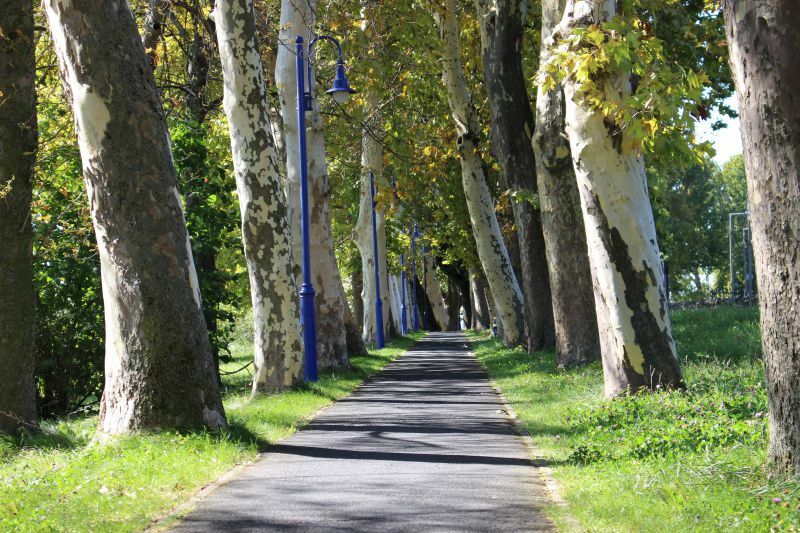 The promenade in Keszthely is a beautiful park complex with green lawns, benches by the river, from where you can contemplate the silence and tranquillity of Balaton. It is a truly charming place for a promenade. 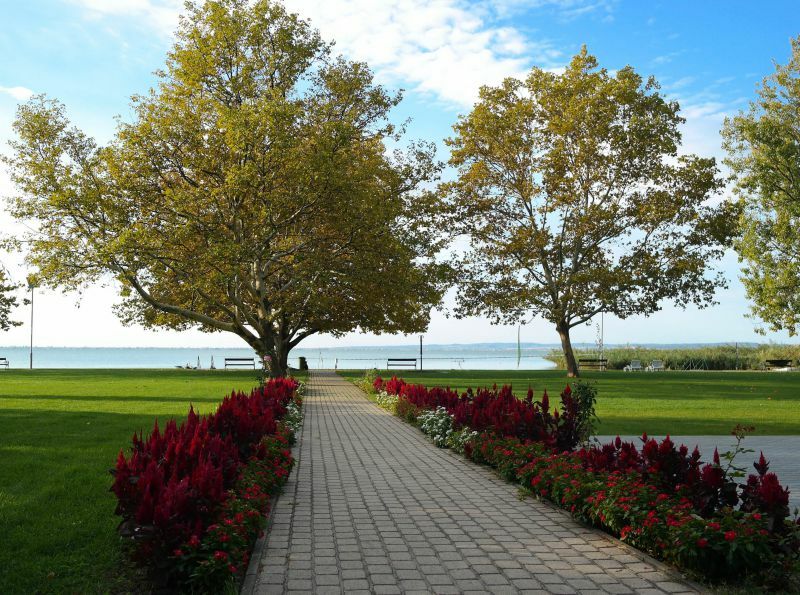 Of course, it is the most beautiful promenade of Balaton. From the hill, you look at the endless Hungarian sea, whereas hundreds of snow-white sailboats are gliding on its azure. It is just an unforgettable view! Moreover, right on the promenade, you can see lavender with soft lilac shades. That is the Tihany Peninsula in all its grace. There are binoculars at the promenade, which will give you a closer look at the yachts looming large on the horizon. The promenade is bookended by the ancient abbey. 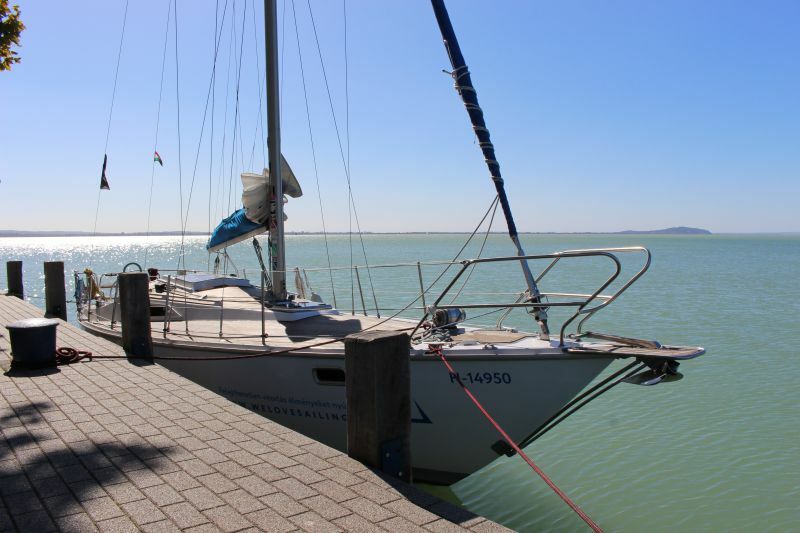 We will speak about the beaches of Balaton a little bit more than about the promenades. Some of the beaches below are located directly next to the promenades, which we described above. 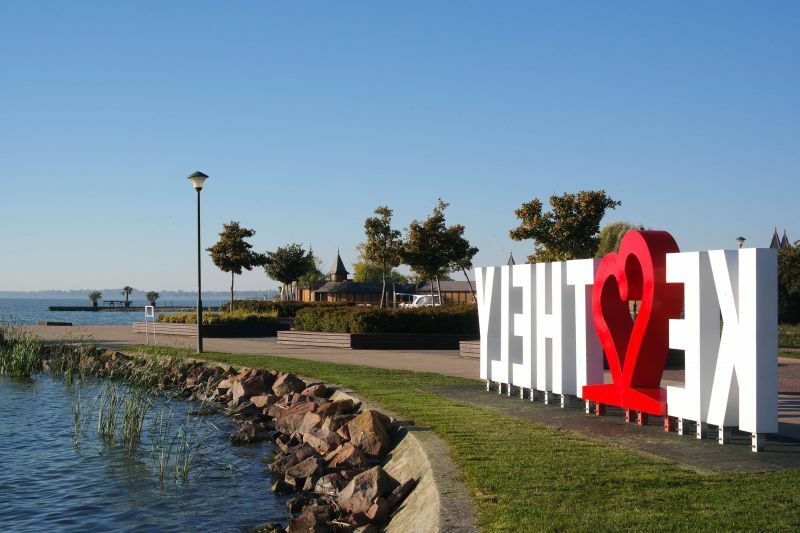 We listed the beaches in their sequence order – from the town of Keszthely on the western point of Balaton to the youth town of Siofok in the eastern part. Surely, in addition to the beaches we described and visited, there are many more smaller, but not less cosy ones. You can find them in almost every village of Lake Balaton. Can you imagine a beach with a free heated pool, which literally repeats the shape of Lake Balaton? 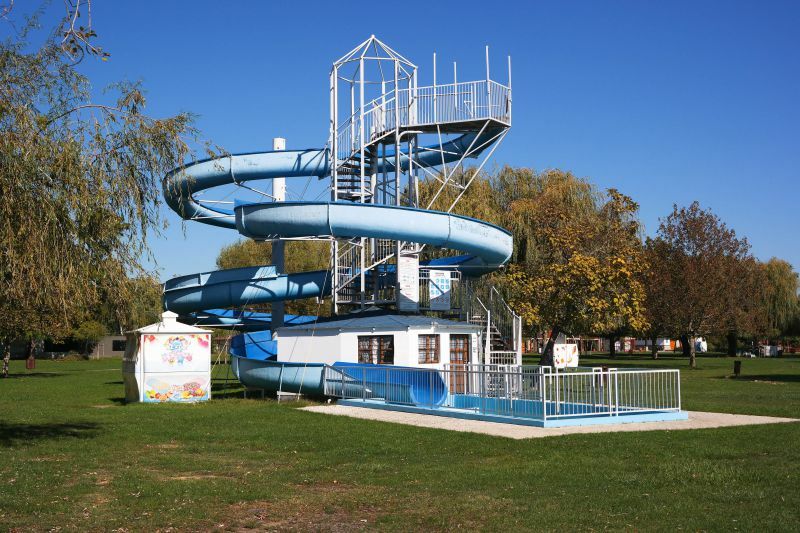 The city beach is a pearl of Keszthely and a great place for outdoor activities. Here, you will find volleyball, basketball, handball and badminton courts, as well as huge transparent water walking balls. 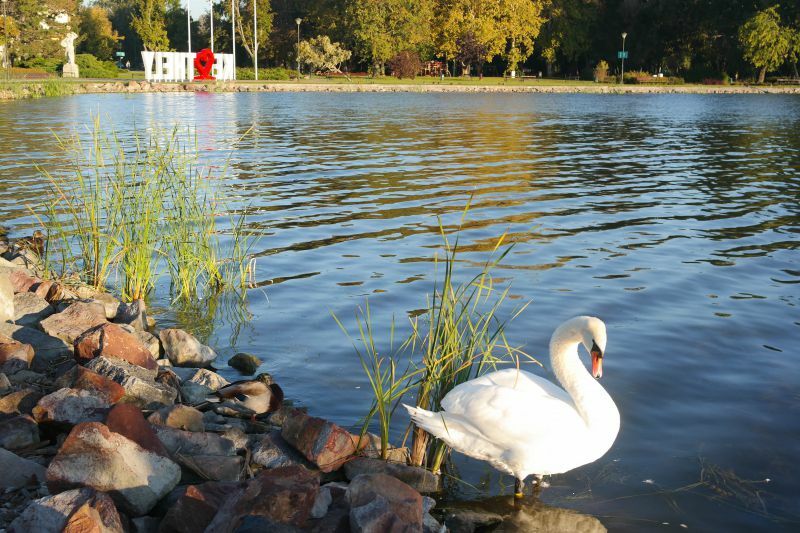 The beach is adjacent to the promenade of the city, hence, a beautiful view of the ancient bathhouses and, of course, the swans. Nearby, there are two more of paid beaches with cheaper admission tickets and a free one. Children, disabled, pensioners – 560 forints. Family ticket for 2 adults and 1 child (per day) – 1900 forints. You can purchase subscriptions for a different number of visits. Dressing rooms on the beach in Keszthely. Opening hours: the beach is closed from September to June. Speaking of Keszthely, this city is magnificent! It boasts of a breathtaking Festetics Palace, many cafes and restaurants, educational museums and a very nice pedestrian street. Furthermore, quite close to it, literally 5 minutes by car, you can visit Heviz, a town famous for the largest thermal lake in Europe. 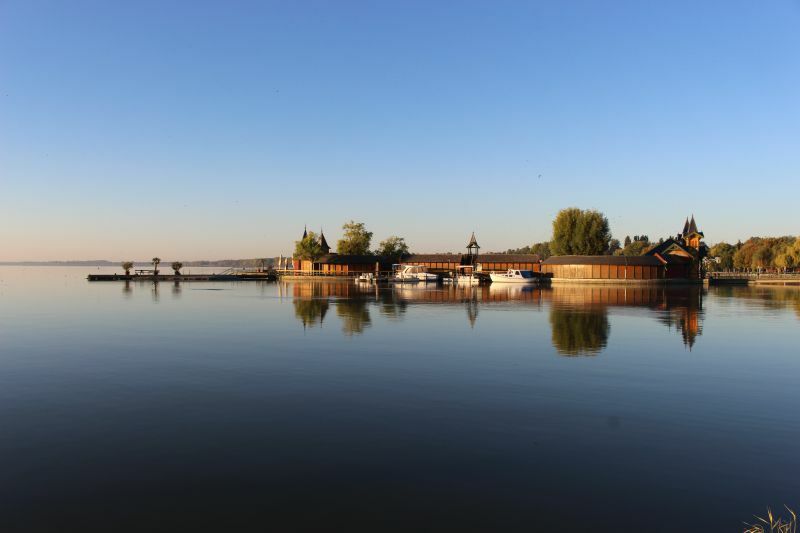 A 15-minute drive from Keszthely, there is a town Vonyarcvashegy. Its beach has become a real place of pilgrimage for outdoor enthusiasts. It offers surf school, sailing, water bike, water slides, dressing rooms, showers, cafes, animators for the youngest visitors, as well as comfortable green lawns for rest and relaxation. When the water aerobics classes begin, it seems that this is a massive flash mob: hundreds of people are gathering. 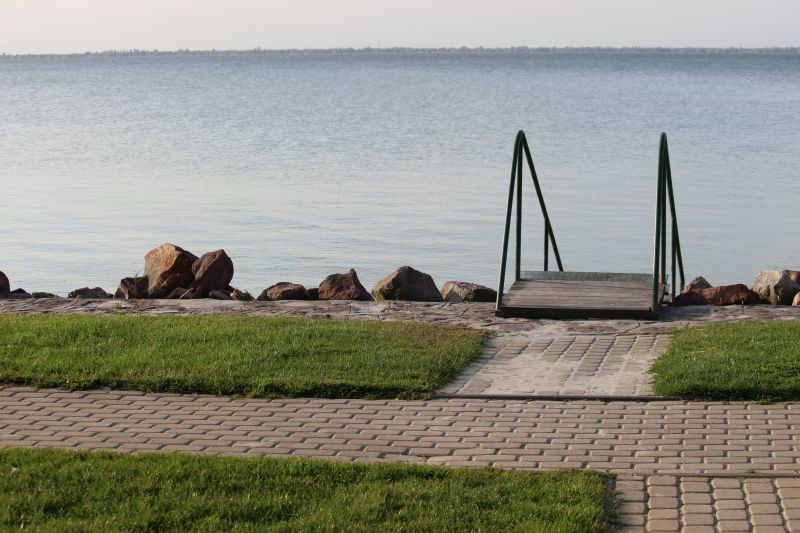 Vonyarcvashegy beach is rather shallow; therefore, it is great for families with children. Children under 4 years old – free. Weekly subscription for adults – 3,500 forints, children – 1,700 forints. 1 ride from the water slide – 200 forints. Opening hours: from June 9 to September 2: from 08:00 to 18:00. Location: Vonyarcvashegy, Fürdő u. 1. It is a popular place among families with children. There are great sandboxes and fabulous children's playgrounds for the little ones. Moreover, you can enjoy a shady park with lush greenery perfectly saving from the heat. After all, soft green lawns are perfect for a summer holiday. 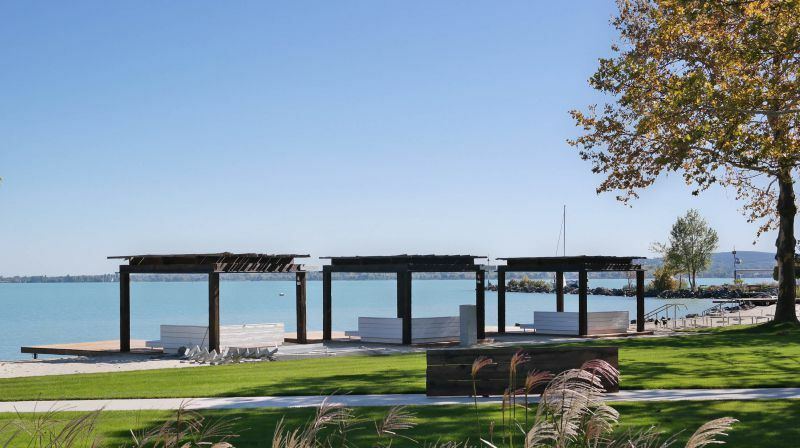 In the evenings, the beach becomes home to a mobile cinema, where you can watch the latest blockbusters with the Balaton sceneries. 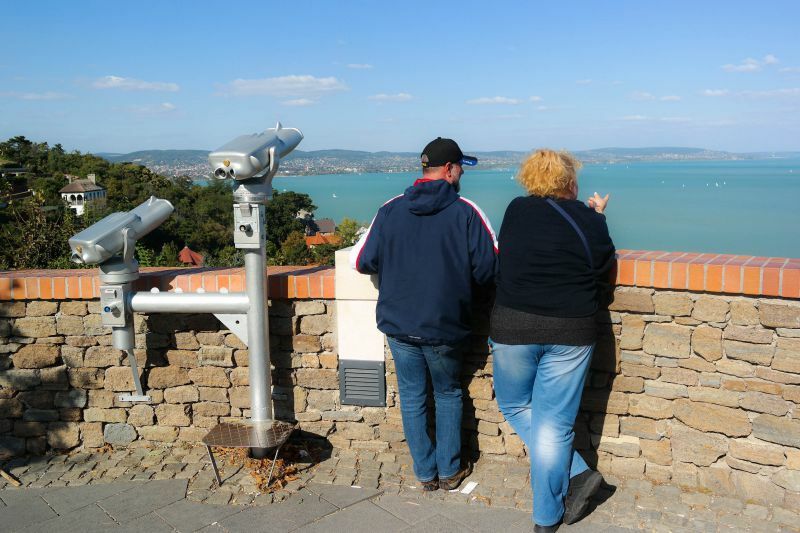 Not far from it, there is Szigliget Fortress, which can be called one of the best attractions of Balaton. Weekly ticket – 2,500 forints. There are subscriptions for a different number of days. Children under 6 years old – free. Many beaches on Balaton look that way: green grass, tiles, and descents into the water. Although, there are sandy beaches too. Opening hours: 08:00–19:00. The beach is open from June 1 to September 10. Revfulop Beach (Révfülöp) was awarded the blue flag. It is an ideal place to stay with small children. Shady lawns and water slides will help to escape from the heat. Besides, the beach is shallow; therefore, it is absolutely safe for children. Here, you will find such entertainments as children's pool, volleyball, and basketball. You can also rent a boat, ride catamarans, do water aerobics and windsurfing. The town Révfülöp is big enough for Balaton. Near the beach, you can find a street with restaurants. Furthermore, a nicely-arranged bike track will make the cyclists happy. 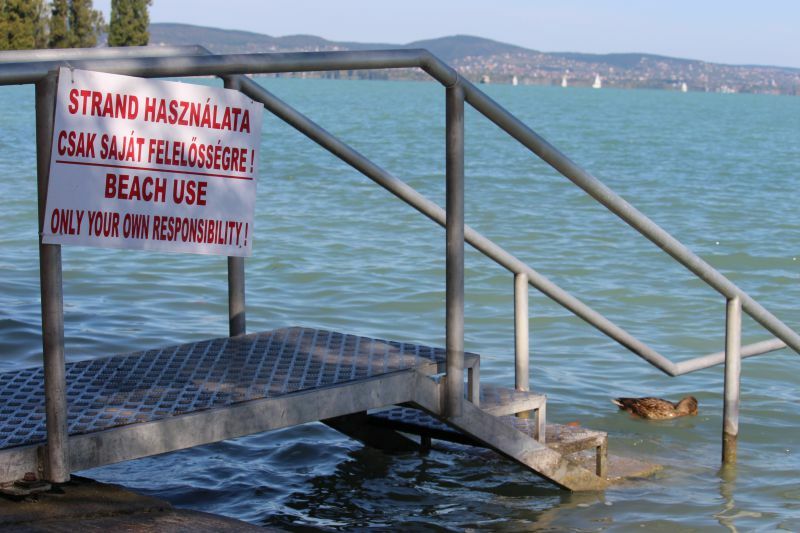 It's worth noting that there are a lot of them on Balaton. The beach and the promenade itself are rather long. 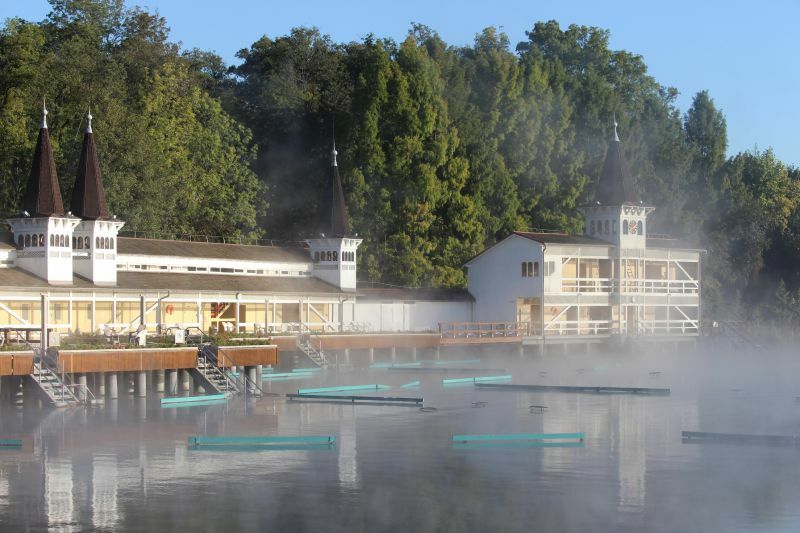 You can swim, sunbathe, fish, and engage in active sports here. Family ticket (2 adults + 2 children) – 2,000 forints. Weekly ticket – 2,700 forints for adults and 1,300 forints for children. The water on this beach. 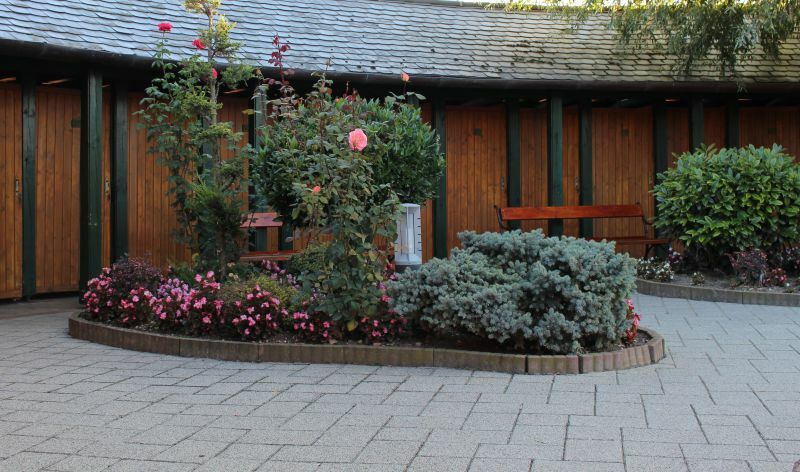 Opening hours: from 08:00 to 19:00. The season starts on June 1 and ends in September. It is a club beach with green lawns, comfortable sunbeds, and different activities. It is considered the most expensive in Tihany, a luxury experience so-to-say. Admission: 5,000 forints including towel, chaise longue, and umbrella table. Location: Kenderföld u. 18, Tihany. It is a pleasant place with sand for children. 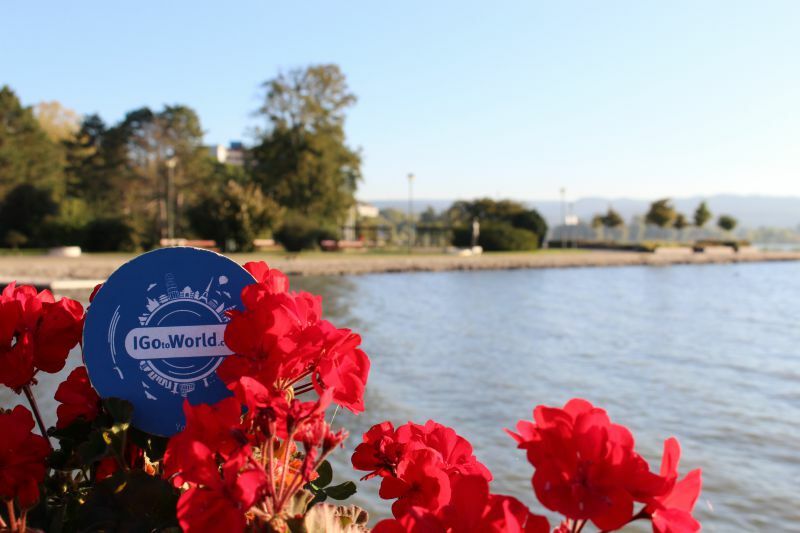 Nearby, you can see the pier of Tihany, a yacht club and many activities for children. By the way, not far from it, you can learn how to ride on the board properly – SUP. Location: Tihany, Váralja u. 23-25. You will see this beach while driving by car: a long narrow strip of concrete that is full of multi-coloured towels of the guests. It is located right next to the road. However, since the beach is large and free, it is in high demand among locals and visitors. It is always lively. 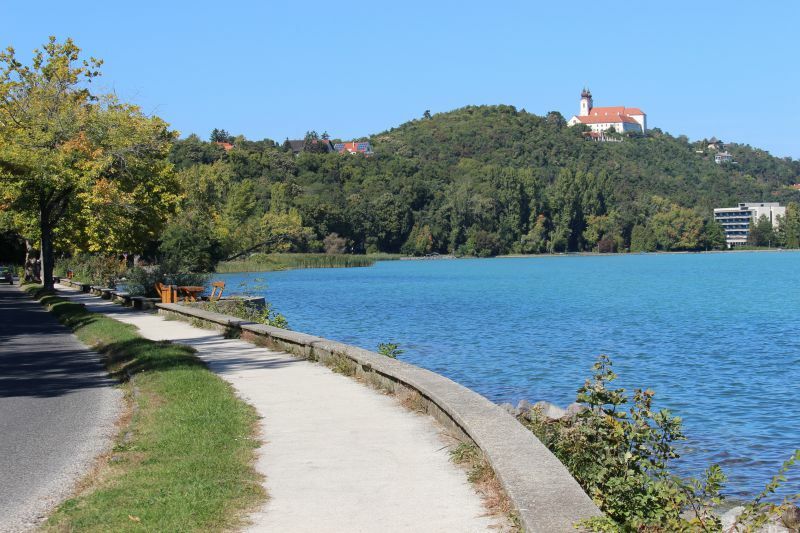 Moreover, the view of Tihany is stunning. There are cabanas, showers and other amenities. The beach access is well-arranged. Admission ticket: free. Only the parking is for an extra charge. Location: Tihany, Lepkesor (Kalandsziget mellett). 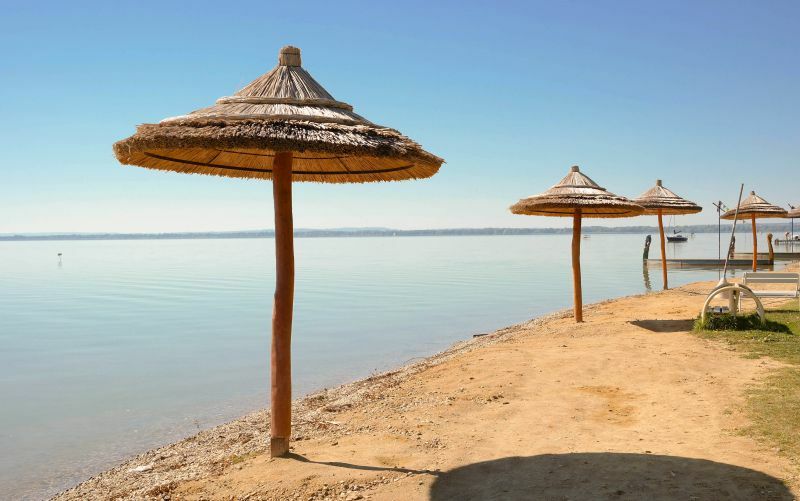 It is an aristocratic and exquisite beach with a beautiful view of the Tihany Peninsula. It is located in the eastern part of the promenade and boasts of a green lawn, bright flowers, and swimming pools. The beach has a Blue Flag. Admission fee: 1,030 forints for adults and 600 forints for children. Separately, you need to purchase a ticket to visit the pools: 700 and 500 forints for 2 hours. Opening hours: from 09:00 to 18:00. The beach works from June 20 to August 24. 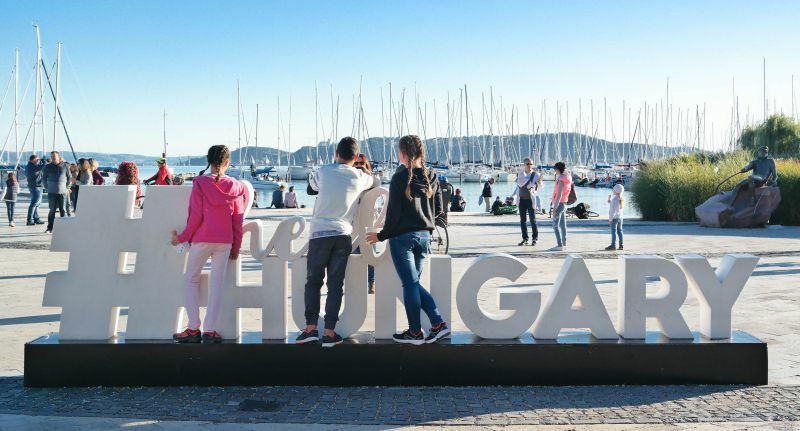 The largest city beach of Balatonalmadi is waiting for its guests every day with free animation, volleyball courts, and even a beach library! Yes, you read it right! It is the most reading beach of Balaton. It's worth noting that a pedestrian bridge can take you to this beach. 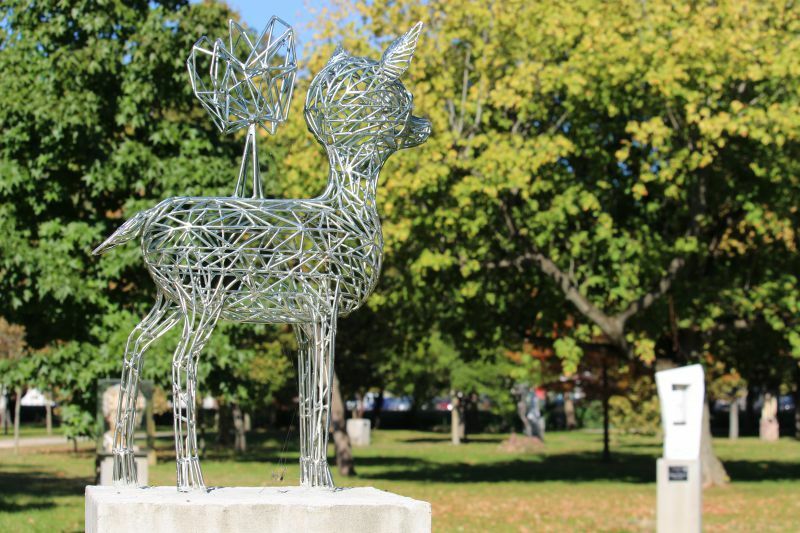 Moreover, next to it, there is a picturesque sculpture park. Admission ticket: adult – 800 forints. Children, students and pensioners – 500 forints. Opening hours: from 08:30 to 19:00. The beach is closed from September 16 to May 14. Location: Balatonalmádi, Szent István sétány 6. Siofok is Hungarian Miami. It is a vast coast, where almost half of the country come for entertainment, nightlife and beach parties. You can admire incredibly beautiful sunsets here and a lot of girls in bikinis)). Perhaps, Siofok is the most visited beach in Hungary. It stretches for many kilometres, and at the same time, more than 13,500 beach-goers can sunbathe simultaneously! The coast is covered not only with the sand and palm trees but also nightclubs, luxury hotels, and villas. Location: Siófok, Petőfi sétány 3. Opening hours: from 08:00 to 18:00. From September to May, it is closed. 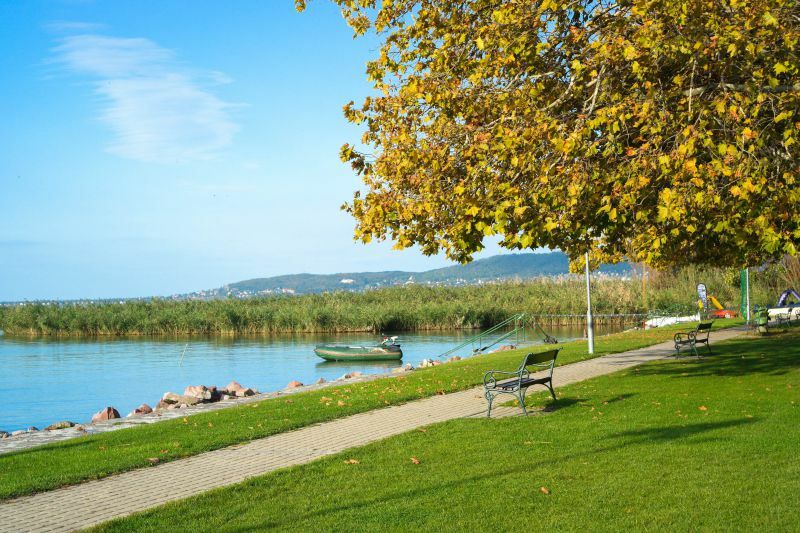 Balaton is a huge lake, and the beaches in its different parts have their own distinctive features. North Coast. Suitable for those who love and know how to swim. The water access is rocky, and it quickly becomes deep. The depth is more than 2 m. This region will attract tourists who want to try themselves as captains and sail. South Coast. It is completely opposite to the north one. The lake deepens slowly. It seems that you have reached the middle of the lake, but it is still knee-deep. For this fact, it receives love from families with children. Another advantage of the southern beaches is soft, silky sand, which contributes to lazy beach rest. East Coast. It is believed that this is the best place for sunbathing because the sun lasts here the longest throughout the day. West Coast. Actually, it is not very different from the southern coast and is good for families with children. 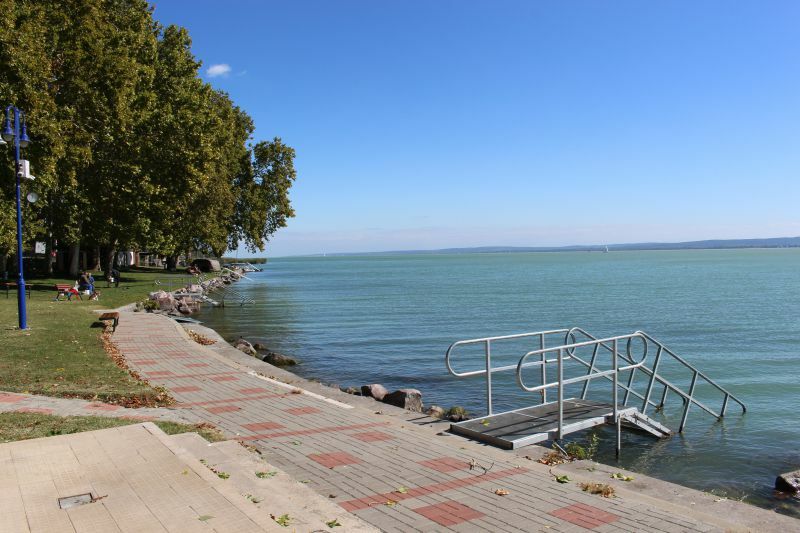 Most of the beaches on Balaton are paid. However, you can find some free places. By the way, if you check in at the hotel or pension house on the front line, most likely, it has its own beach. As for the city beaches, in the evenings, they are also free: no charges for admission applied. The only difference is that you get less sun, and the lifeguard on the beach is no longer working. Watch out for the storm! Lake Balaton is a moody lake. In the middle of a hot day, the wind can blow massively and bring a fairly strong storm. There are storm stations on the lake to protect guests, both swimmers and boatmen. Blinking yellow light indicates an approaching storm. Seeing the signal, you must get out of the lake and suspend water activities immediately. The lake is shallow. On average, its depth is 2-3 m. However, in the deepest depression, it reaches 12.5 meters. It warms up quickly. 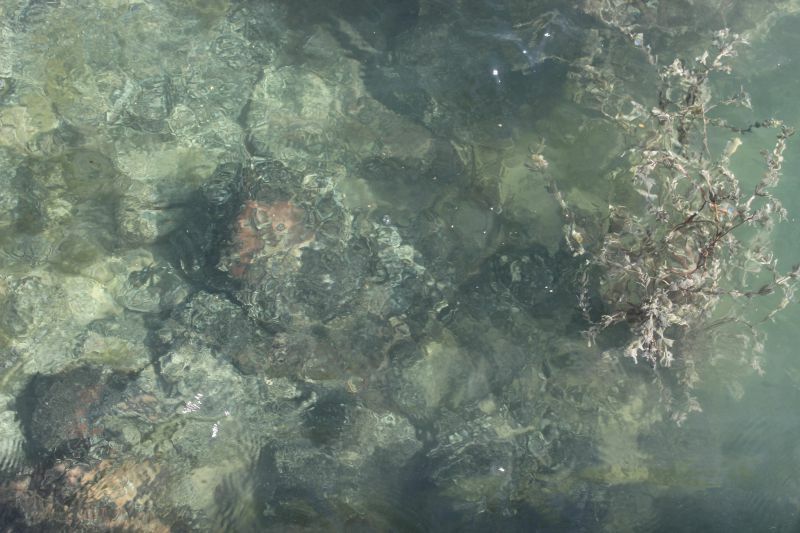 In the warm season, the water temperature is +22 degrees, but with the arrival of the heat, it is +28 degrees. Lake Balaton has a nice sandy bottom. All the beaches are cleared of reeds. The water is high in iodine, which attracts mainly mothers with children. When the wind rises, the lake gets waves. It is interesting for the surfers and sailing. Balaton has beaches where you can go to relax with your four-pawed friends. There are incredible purple sunsets on the lake. 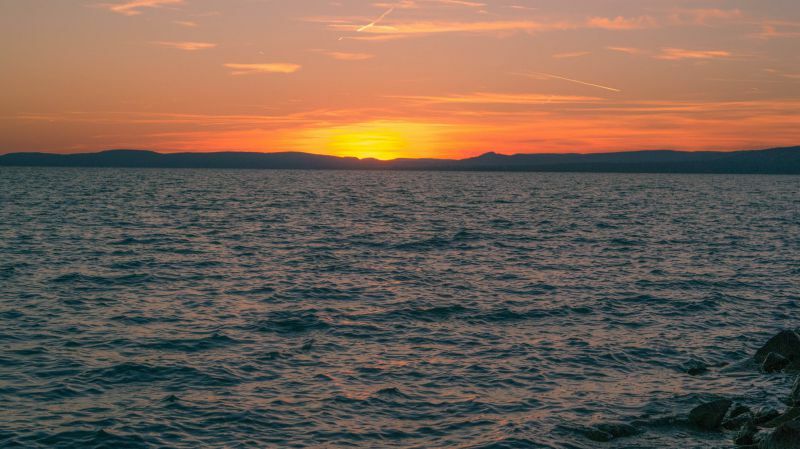 Besides, remember that Lake Balaton is almost 200 km of coastline and as many beaches. You can easily find yours! Just come in the summer!